Feb 25 Comments Off on Will my frozen shoulder get better? 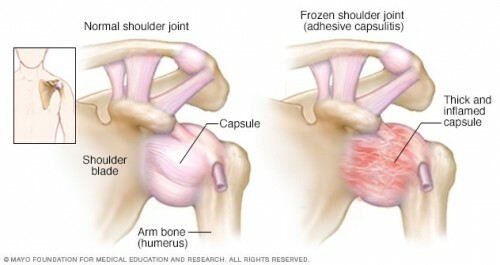 Adhesive capsulitis, better known as frozen shoulder, is a condition affecting the shoulder muscles. This happens when the connective tissue that wrap around the ligaments, tendons and bones of the shoulder joint thickens. 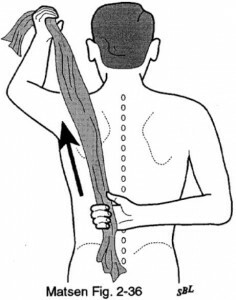 Thus, causing stiffness and soreness that makes it difficult and painful to move the affected shoulder. Yes, your frozen shoulder can get better with the right assessment and specific exercises tailored to your injury. However, depending on the severity, recovery may take a couple of months to more than a year. The signs that you could have a frozen shoulder start with a dull or achy pain in one of your shoulders. They are most felt in the shoulder muscles located at the top of the arm. Depending on the severity of the injury, the pain can get worse with time. To properly assess frozen shoulder, a physiotherapist will perform a physical exam. They will ask you to move your shoulder in certain directions, assessing how far you can move it and the degree of pain you feel. While a physical exam is often enough to assess this condition, your doctor may also request for an X-ray or MRI to rule out other structural issues. It’s called a pendulum stretch because you dangle your arm freely like a pendulum. Stand and put your healthy arm on a table or a chair. 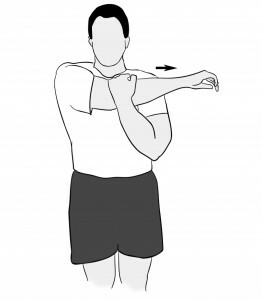 Lower your injured shoulder such that the arm feels weightless. Swing your arm in a small circle, about 1 foot in diameter. Do about 10 circles clockwise and then counter clockwise. 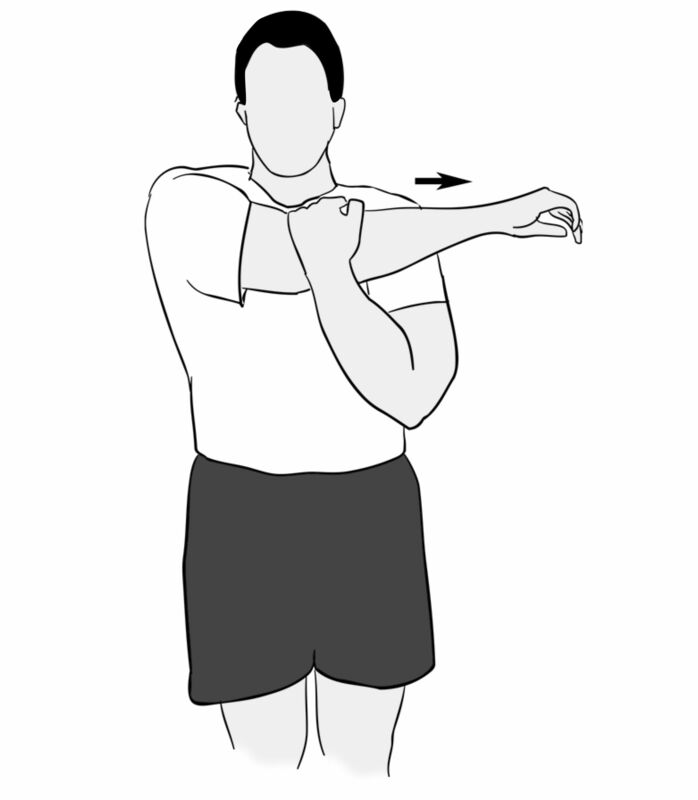 Stand or sit properly then slowly and gently lift your affected arm at the elbow. Pull it across your chest as far as you can without causing pain. 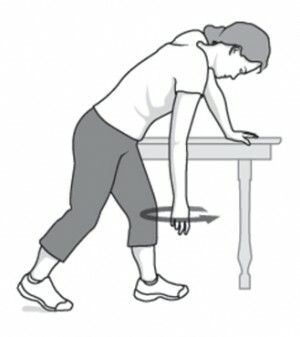 Hold the position for about 15-20 seconds then slowly bring down your arm again and repeat 10-20 times. Hold a short face towel behind your back with both arms. Raise the injured shoulder and arm such that it forms a letter V pointing sideways, while your healthy arm steadily pulls on the towel. Perform about 10 to 20 repetitions. If the pain from your frozen shoulder proves almost unbearable, there are a number of over-the-counter drugs to help you relieve the symptoms. Anti-inflammatory drugs, such as Aspirin and Ibuprofen, can help reduce swelling and relieve pain temporarily. A steroid injection or cortisone may help reduce pain immediately and return the shoulder’s range of motion restored to at least 80%. You can only get this shot with a doctor’s prescription. In adults with rotator cuff disorders, corticosteriod injection provided short-term pain relief. Meanwhile, treatment plan for shoulder pain that included both steroid injection and physiotherapy significantly reduced pain after 6 weeks. In the most severe cases, surgical intervention may be needed to relieve the tightness of the shoulder joint capsule. Two of the common procedures are shoulder arthroscopy and manipulation under anesthesia. Whether or not you needed surgery, going to a physiotherapist can help your frozen shoulder get better. The physiotherapist will prescribe specific exercises and motions customized to your injury. Depending on the damage, a frozen shoulder requires several months for you to be completely pain-free and regain your full range of motion. 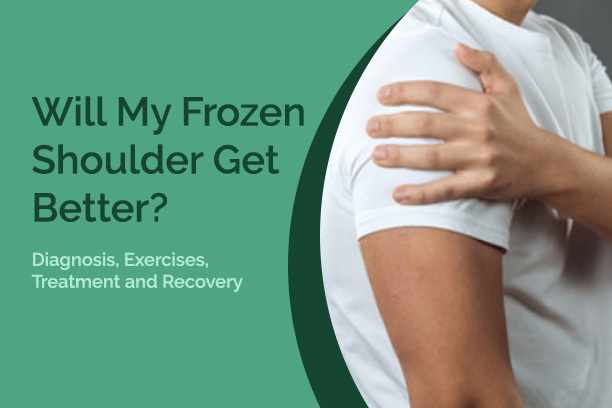 For more information on how your frozen shoulder can get better, contact us today and schedule a no-obligation appointment with one of our St Albert physiotherapists.